Full floor apartment in historic Harlem brownstone. Master BR with 1 king-size bed, second BR w/full-size bed; living and dining area. Sofabed in living room sleeps two; custom mattress. Complete kitchen; cable TV and WiFi; one full bath. All newly renovated. Within walking distance of express and local subways; 20 minutes from midtown Manhattan. This unit sleeps four to six people and is ideal for families with children. For parties of two or three adults, please see our sister listing, Harlem Comfort II, at listing number 1064276. 1 full bathroom; renovated w/ new sink, toilet and floor. Thank you! I'm glad you enjoyed your stay. Come back anytime, and have a wonderful holiday season. Great place to stay while visiting NYC! This is a hidden gem and I'm so glad we had the opportunity to stay here while visiting NYC. Carolann is a very gracious and thoughtful host who provided everything we needed for our stay at Harlem Comfort. The apartment was immaculately clean and very spacious, with air conditioning and comfortable beds, fully equipped kitchen and a nice living room area. Carolann had even placed lovely fresh flowers around the apartment and had some wonderful food for us in the refrigerator. 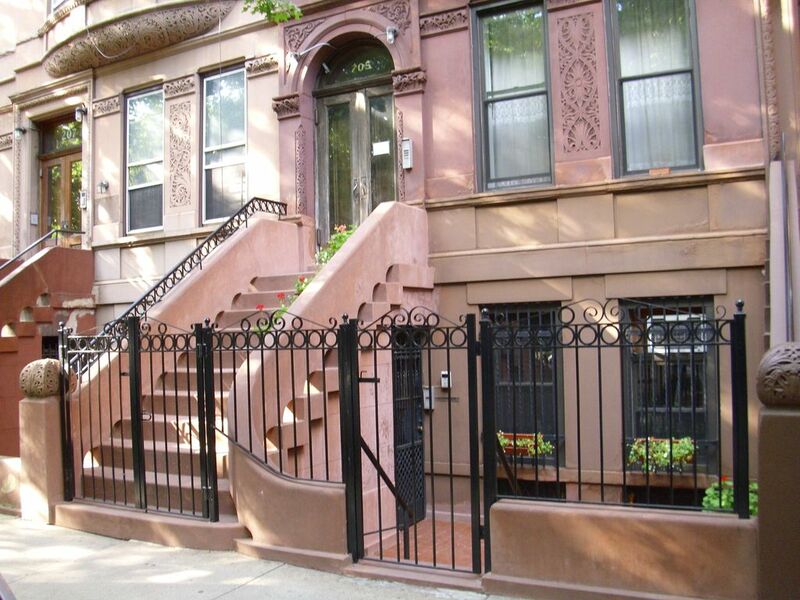 The apartment is conveniently located, only a few blocks from the subway and easy to get anywhere in the city. It was quiet inside at night and very safe and secure. I highly recommend Harlem Comfort and would definitely stay there again! I'm glad you enjoyed yourself, and you are welcome back anytime. Thanks for staying with us. The brownstone is a true "home away". It is close to two subway stations, and is a comfortable place to return to each day! The apartment has everything anyone would need. The wonderful hostess has thought of everything that her guests might want. The accommodation has a nice kitchen, plenty of room to relax and plan your next outing! We highly recommend it for anyone going to New York City!! Thank you! I'm glad you enjoyed your stay. Please come again. It was a lovely apartment. The neighborhood was quiet. Very close to two different Subway stations which allowed us to get wherever we needed to go. Carolann and Anthony were excellent hosts. I'd definitely stay there again. We're glad you enjoyed yourselves. Come again. We had such a wonderful experience staying here during our trip to New York with our 11 year old grandsons. The apartment was generous in size for the four of us and close to the subway. Our hostess went over and above, filling the refrigerator with great food and even arranged a ride from the airport which we greatly appreciated after traveling all day from the west coast. We had a great time! We're glad you enjoyed yourselves. Come back anytime. A beautiful, comfortable, safe, and historic place to stay to enjoy the best city in the US! We have been to New York City many times before and have always stayed at your typical tourist-centered hotels. Not this time! We really wanted to experience the city and the people of New York. So many people might think twice about staying in Harlem. If that might be you, DON'T! Especially here with Carolann! She made us feel welcome, safe, and always know she was a call away. As soon as we arrived, she was there to welcome our family and gave us a tour of the property. She even had the refrigerator fully stocked with essentials (milk, water bottles, orange juice), and had chicken dinner ready for us after a long day of traveling. All homemade! There was even freshly made banana bread. As far as the apartment, it was beautiful! The reviews posted prior to mine do a wonderful job describing it. We have absolutely no complaints. It is beautiful. It was clean and sanitary. It was stocked with enough supplies for our four day stay (and then some). We never had any problems, and if we did, I am positive Carolann would have taken care of them immediately. We were so happy to have stayed there and to have met both Carolann and Anthony. They are such lovely people with hearts of gold. Thank you Carolann and Anthony! Thank you so much! We are delighted that you enjoyed yourselves, and you are welcome back anytime. Property is located on a quiet, lovely, tree-lined block. Subway and bus transportation within walking distance. Various restaurants within walking distance. Grocery stores, fast-food restaurants and Laundromats within walking distance. Rates are non-negotiable and will not be lowered. If you are unwilling to pay them, please do not contact us. We do not give full or partial refunds for late arrivals or early departures under any circumstances. We cannot accommodate smokers. We appreciate your interest and are sorry to lose your business, but please do not contact us if you smoke. Entrance and common areas of this building are under 24-hour camera surveillance. Apartment is not child-proofed. Not recommended for infants, toddlers or children below the age of 6. Our website says that "This Owner Accepts Fewer Booking Requests Than Average." This is not accurate. We often have to cancel a guest's initial booking request and then redo it in order to lower the deposit amount. VRBO's system defaults to a large initial deposit, and we do not want to take a lot of money from our guests who may be booking several months in advance. You never know what can happen, and we do not refund deposits. We do not want to see anyone spend a lot of money up front which is non-refundable and then have to cancel their trip and lose a big deposit. So while it appears that we reject a lot of booking requests, we do not. We REDO a lot of booking requests. For longer-term stay options, please see our sister property, Harlem Comfort II, under listing 1064276.